Looking to sell diamond jewelry in Chula Vista? If you are thinking of selling your engagement ring, then you have chosen the right place! How can you sell your diamond jewelry without getting ripped off? 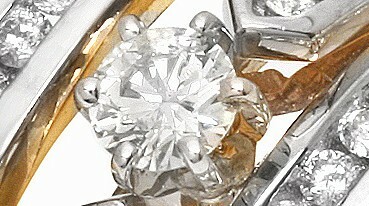 At the Chula Vista jewelry Exchange you get the best and highest price for your diamonds. As we know “Diamonds are a girl’s best friend,” however, some jewelry may bring sad memories or they have no emotional value anymore. If that’s the case, then might as well fill your pockets with cash and we will happily make that happen once we buy them off you. If you want to sell diamond jewelry in San Diego come in to one of our stores in Chula Vista, Balboa Avenue, La Jolla or Downtown San Diego. Whenever people as “how to sell my diamond jewelry” we tell them selling diamond jewelry in San Diego is easy. Just come into one of our stores and you will get a cash for diamond quote from our professional diamond buyers and receive cash for diamonds on the spot. It does not get any easier than that. Also, if you want to shop around then you will find a variety of diamond jewelry. There’s a million places to sell your unwanted diamonds, but we think once you do business with us you’ll come back again and refer others. If you want to get cash for diamond jewelry in Chula Vista, we pay the high cash. You can come in and we’ll evaluate your diamonds without the hassle. This is the best time to come in and get the best cash payout. We buy American Eagle Gold Coins, American Eagle Silver Coins, Morgan Silver Dollars, Peace Dollars, Buffalo Rounds, Kruggerands, Canadian Maple Leaf Coins, Kennedy Half Dollars, Silver Quarters, Silver Dimes, Mercury Dimes, Centenario Gold Coins, Double Eagle Gold Coins, Standing Liberty Silver coins, walking liberty silver coins and walking liberty gold coins and many types of rare and collectible coins. Don’t forget to give to give us a visit at 255 3rd Ave. Chula Vista, CA 91910 or call us at (619) 270-1132 or click here to contact us.